Box chain and bead bracelet. 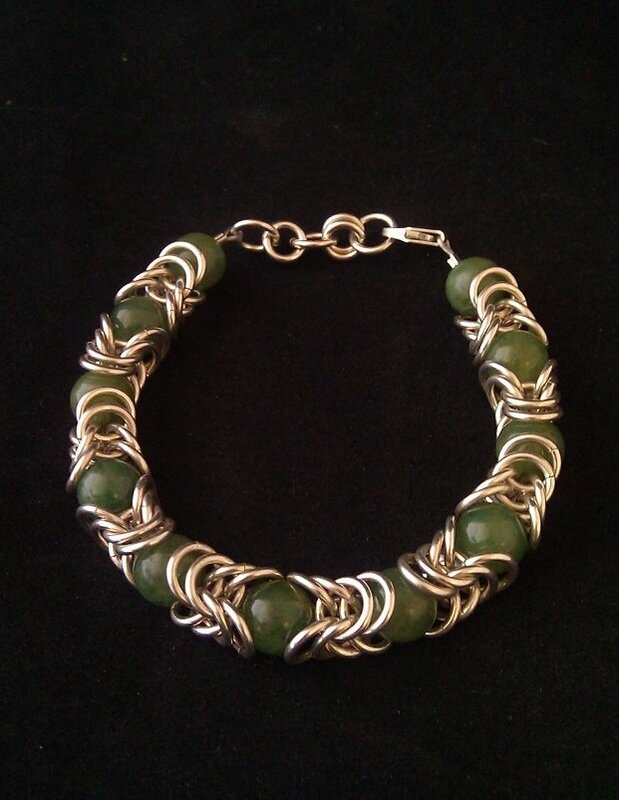 Made from sterling silver rings and Californite (Happy Camp Jade) beads that were mined in Happy Camp, California at the South Fork Mine. This is absolutely beautiful! Nicely done. Where can i get some of the beads? I love the color of them.